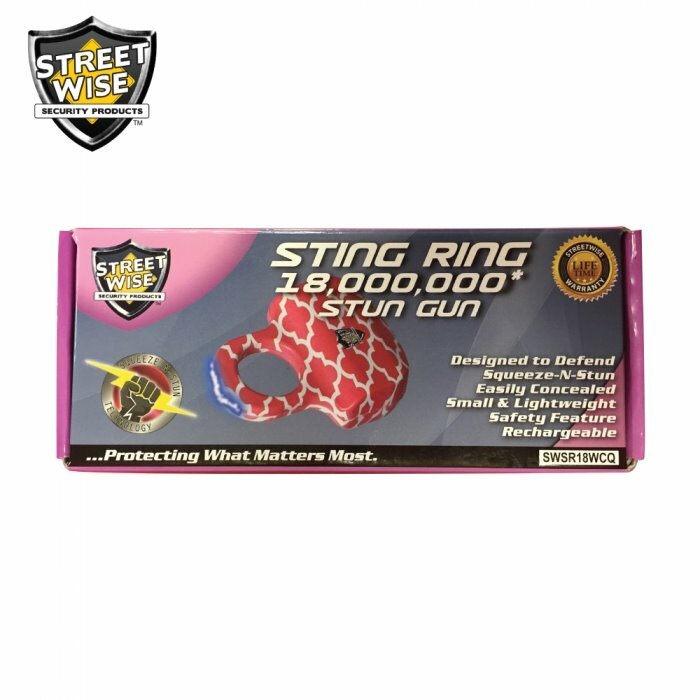 When you need reliable protection in the palm of your hand look no further than the Streetwise Sting Ring. 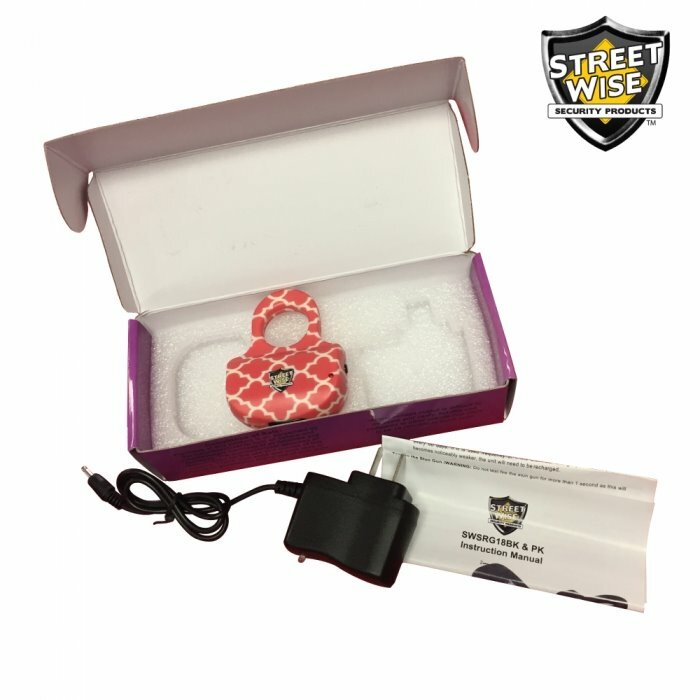 This innovative patent pending design takes the stun gun market to a new level in discreet effective personal defense. 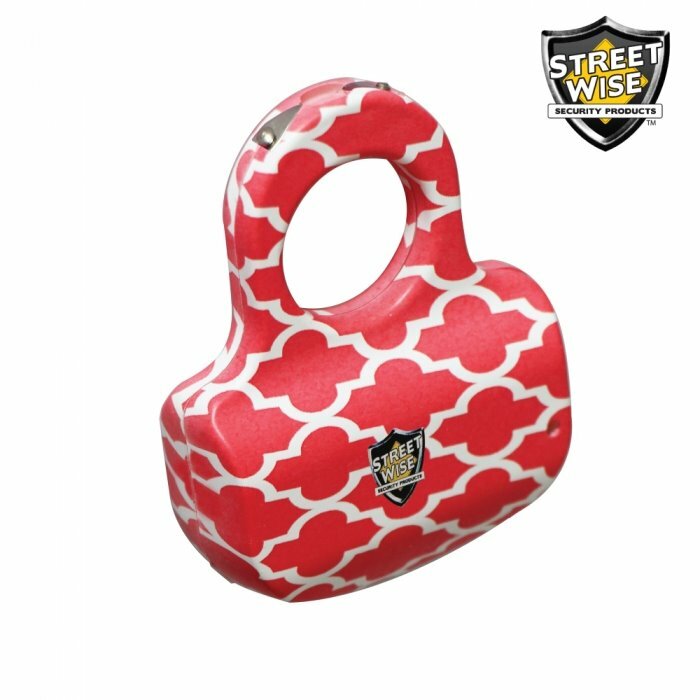 The unit fits securely in the palm of your hand with only the top stunning ring visible making it extremely difficult to be taken away. 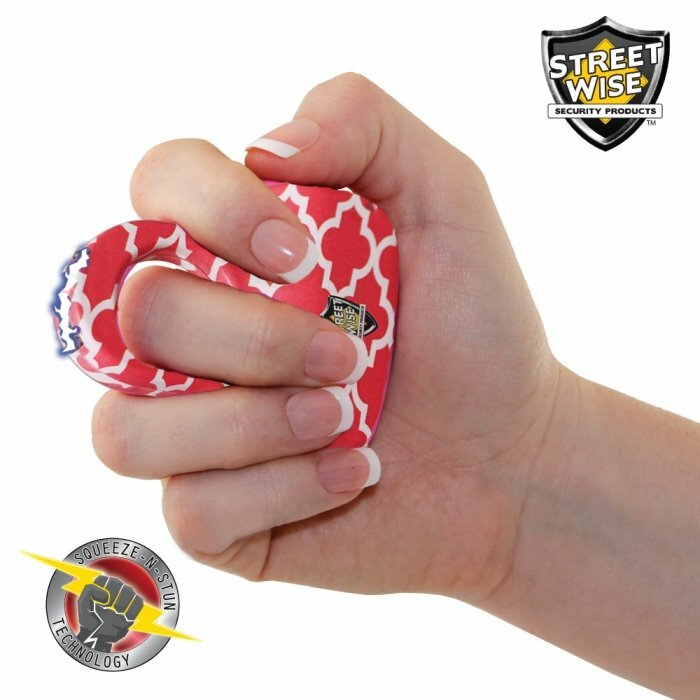 The Squeeze-N-Stun Technology can be a life saver in a panic situation since you only need to squeeze your hand to activate the unit with the safety turned off. Just test firing this device in the air is enough to scare most attackers away, if not then a jolt from the ring certainly will. 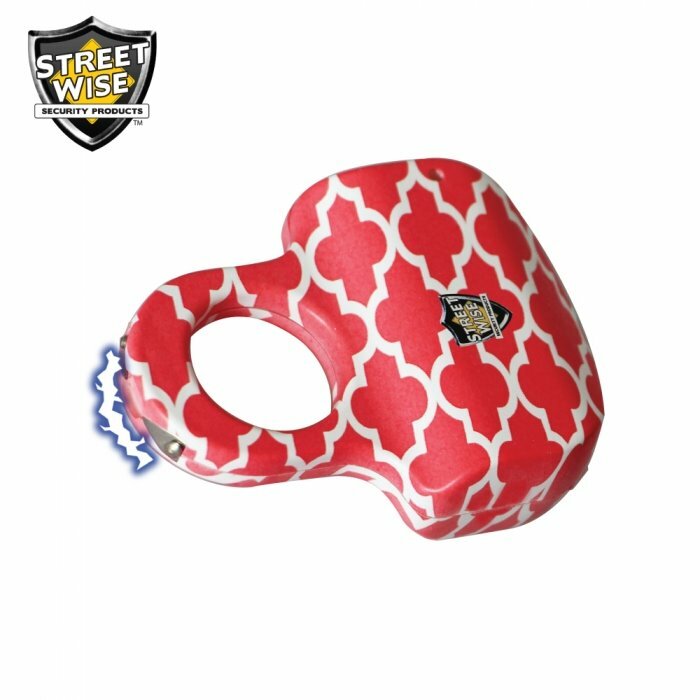 The small size makes this very easy to carry without drawing attention that you're armed and extremely powerful stun device. Designed to Defend: The ease of use, conceal-ability, and strong electric current makes this model one of the best new stun gun models on the market today!